As an Orthodox Christian country, Bulgaria has many beautiful churches to showcase its religious architecture. While a number are impressive for their age, others are notable for their role in important historical events. Take a tour of some of the most beautiful among them and learn their stories. St Alexander Nevsky is the main cathedral of the Bulgarian Orthodox Patriarch and one of the symbols of Sofia. It is dedicated to the Russian army who undertook the main part of the Russo-Turkish War (1878-79) which led to the liberation of Bulgaria from five centuries of Ottoman rule. It was named after the personal patron saint of the Russian Emperor of that time, Alexander II. 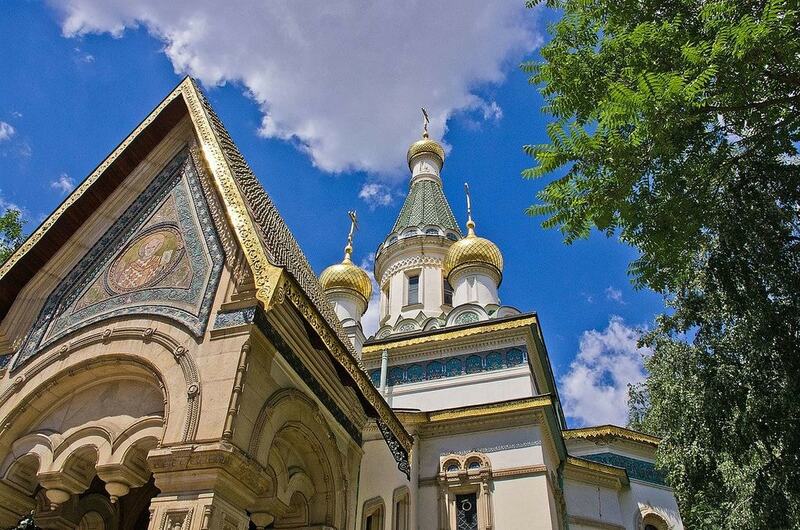 Saint Nicholas Church in Sofia is simply known as the Russian Church for its typical Russian religious architecture. It is located in the city center and attracts visitors with its beautiful intricate decoration and with the legend that by visiting its crypt and writing your innermost desire on a piece of paper, you will have your wish fulfilled. Why not give it a try? Saint Sofia is one of the oldest churches in the Bulgarian capital and it is actually the building that gave the city its name. Centuries ago, when the city used to be significantly smaller (and it wasn’t a capital), the church towered on a hill on its outskirts. It was considered such a masterpiece, that people started saying “I’m going to the town of (the church of saint) Sofia“. While visiting it, don’t miss its catacombs where you can see a centuries-old Christian necropolis. This is another church in Russian architectural style, and is the main church at the Shipka Monastery in Stara Planina Mountain, near Shipka Peak where one of the most important battles of the Russo-Turkish War (1877-78) took place. 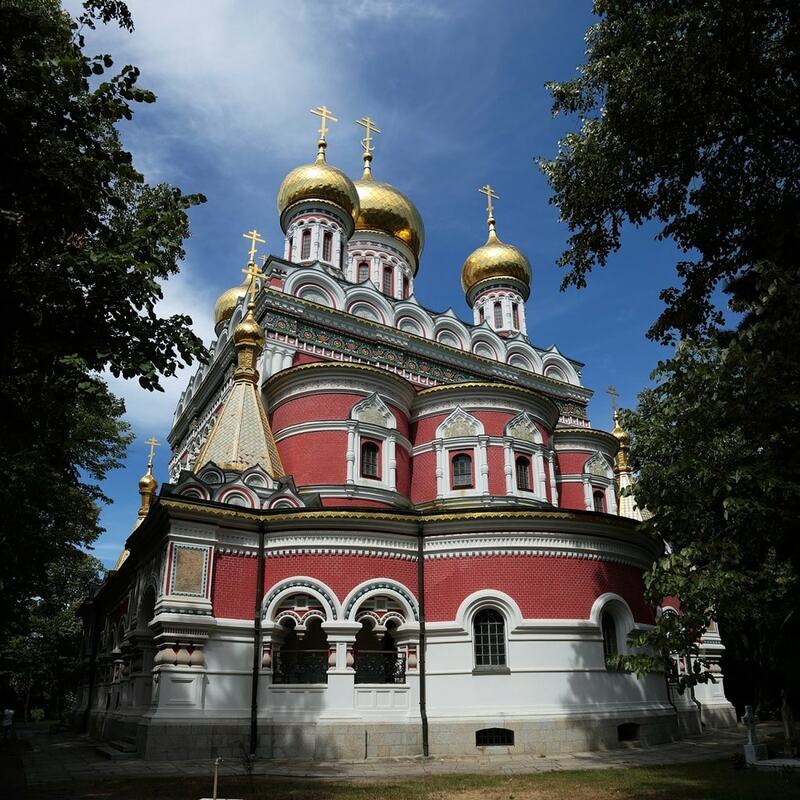 You will recognize the typical bulb-shaped golden domes of the Russian churches, while beneath the floor, the bones of 9,000 Bulgarians and Russians who died in the battle are laid. St Constantine and St Helen Church is one of the most impressive stops in the Old Town of Plovdiv. It was built in 1832 by prominent local architects and adorned with bright, colorful murals that remain well preserved to this day. 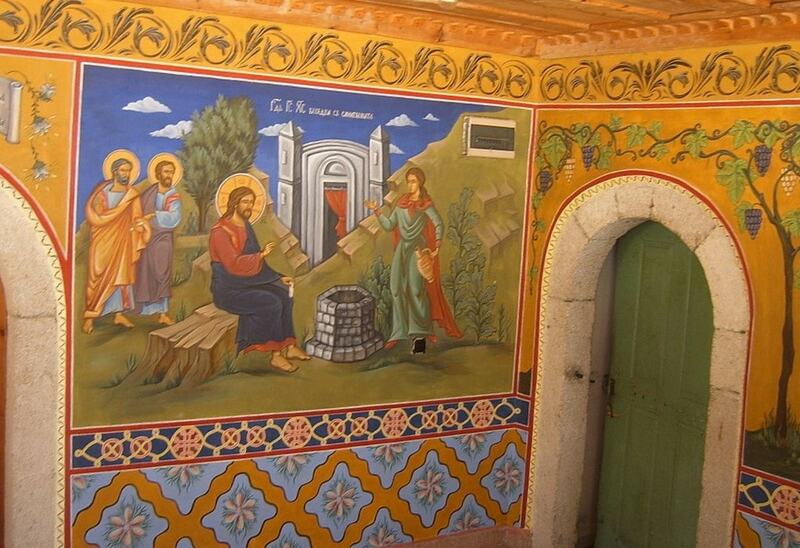 The main church of the Transfiguration Monastery, the fourth biggest monastery in Bulgaria, is known for its detailed 19th-century frescoes drawn by one of the masters of that time, Zahari Zograf. The monastery itself was founded in the 13th or 14th century. It is located 7 km (4.5 mi) from the city of Veliko Tarnovo, on the road to Samovodene village. This is one of the biggest Orthodox catherdals in Bulgaria, with intricate details and ornaments typical of the interior of Bulgarian churches. Dormition of the Mother of God in Varna features beautiful stained glass windows dedicated to the saints who invented and taught the Cyrillic script.